I had come across papaya raisin chutney (பப்பாளி திராட்சை சட்னி) in a restaurant some time ago and simply loved it. As the name implies, it is made with papaya and raisins, and it goes well with roti, chapatti and poori as well as our own dosa. 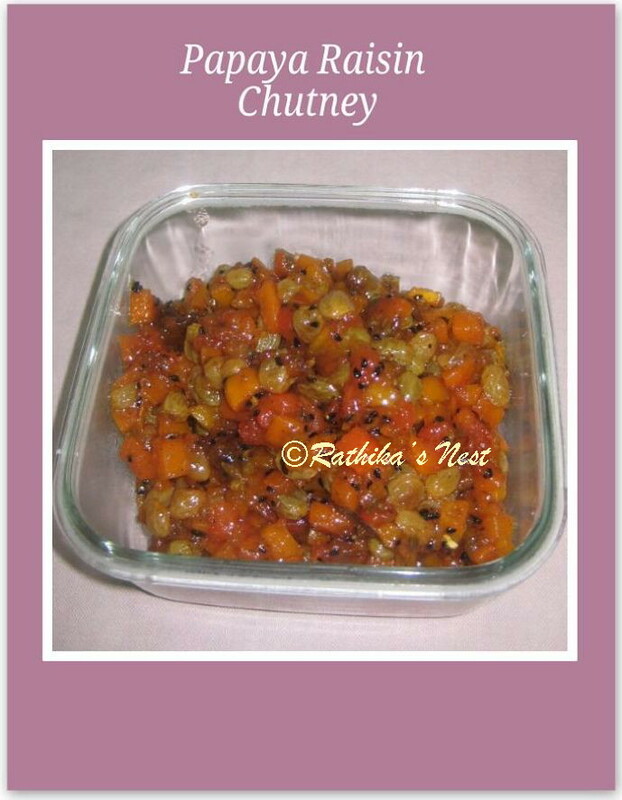 This chutney is easy enough to make at home and most of the ingredients are available locally. Here we go. *Kalonji or nigella seeds are also called black cumin seeds or black caraway seeds (கருப்பு எள்ளு (அ) கருஞ்சீரகம்). Kalonji is used as a spice in Indian cooking as well as for medicinal purposes, particularly weight loss. Method: Peel, deseed and cut papaya into small pieces. In a kadai/wok, heat papaya pieces and raisins with 2 tablespoons of water, grated ginger and salt. Cover and cook on low flame. When the fruit is almost cooked, add sugar, pepper powder, somf and kalonji. Mix well; cook on low flame till the water is fully absorbed. Switch off the stove. 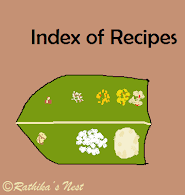 After the chutney cools down to room temperature, store in a clean, dry glass jar; store in a refrigerator and stir the chutney once a day. Allow it to stay for a week and then use as needed. When stored properly in a refrigerator, it generally stays good for a month.